Nov. 13, 2017 7:45 a.m.
BC Ferries says that afternoon sailings on the Tsawwassen-Swartz Bay and Tsawwassen-Duke Point routes are now scheduled to go ahead. Most morning sailings for that route had been cancelled following strong winds in the Georgia Strait. Although BC Ferries spokesperson Deborah Marshall said that Departure Bay-Horseshow Bay sailings are running as scheduled, lines are growing long. One passenger in Nanaimo said she was waiting blocks away from the Departure Bay terminal. While Departure Bay-Horseshoe Bay @BCFerries sailing are still running as scheduled, waits are growing longer and longer. 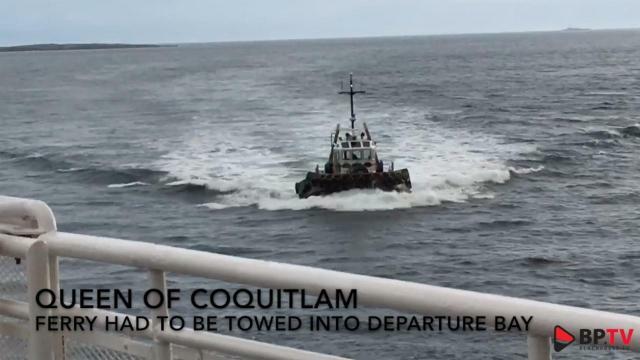 BC Ferries has cancelled the Queen of Coquitlam’s 5:15 a.m. and 10:15 a.m. sailings from Duke Point and its 7:45 a.m. and 12:45 a.m. sailings from Tsawwassen due to a mechanical difficulty with its propellor pitch.